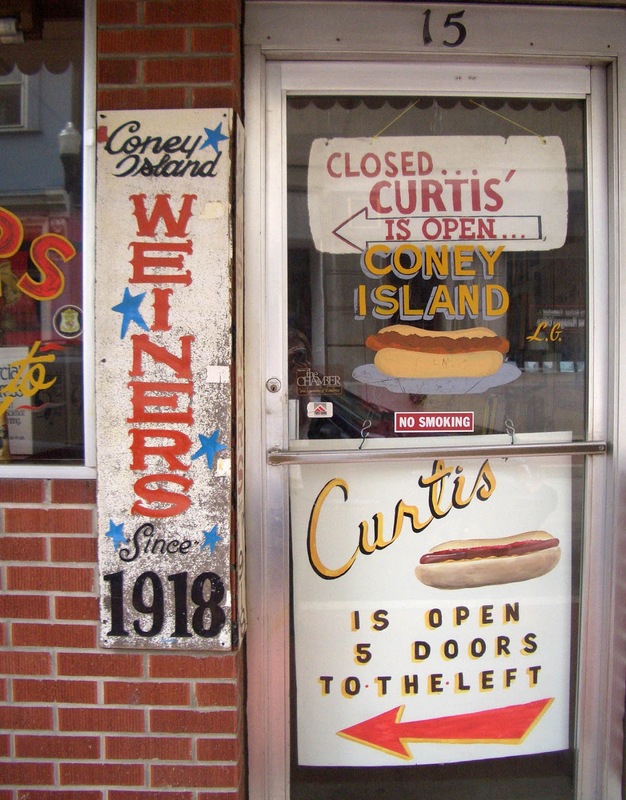 These days, hot dog stands are found most often at the baseball park and the local state or county fair. 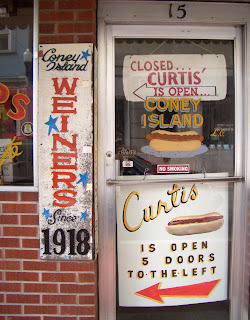 This mishmash of signs suggests that hot dogs, weiners, frankfurters or chili-embellished coney islands have been served in this building for a century. The sign painted on the bricks is probably from the 1950s, but the font styles hearken back to an earlier time. Each generation has added signs in their chosen style. Yes, I would walk five doors down, how about you?